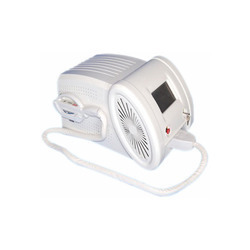 We are a leading Manufacturer of portable ipl laser machine from Ahmedabad, India. We are a distinguished firm engaged in presenting Intense Pulse Light Laser, which is designed with precision by our team of assiduous team mates. The product can also be customized and is delivered to the customer within the specified time frame. The product is quality tested several times during the manufacturing process and is manufactured under the supervision of our expert professionals.